A rapper is perhaps the last person I would expect to tell me about our global environmental issues. Yet rap can be a powerful tool for communicating the politics, economics, and science of climate change. 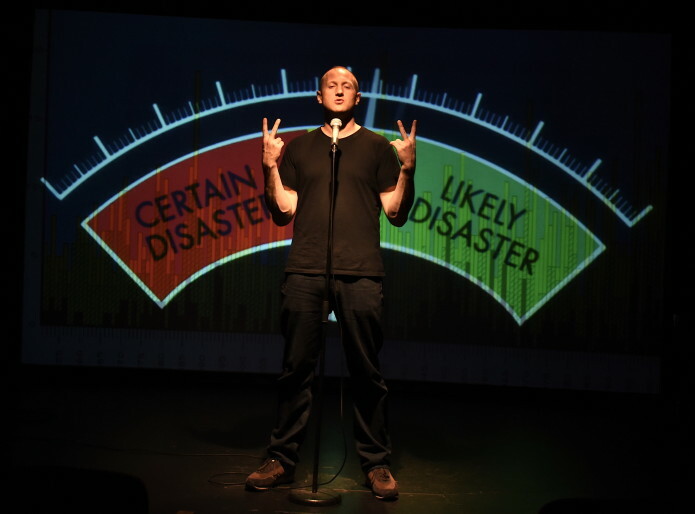 That’s what I learned after seeing Baba Brinkman‘s latest show The Rap Guide to Climate Chaos in New York City a few weeks ago. There is something exhilarating about rhyming such a dry subject over a street beat and delivering it with the high energy usually reserved for lowbrow topics. I was into writing poetry as a teenager, and rap was the music we all listened to, but for some reason I saw rap and poetry as separate things. I was already a pretty good writer when I started college, but I couldn’t see how poetry would ever support me or help me connect with a significant audience of my peers. Then around age nineteen I tried writing some poetry based on the rhyme and rhythm patterns of rap, and before I knew it I was writing rap lyrics. That’s eighteen years ago now and I’m still hooked. What can rap accomplish in terms of communicating climate change that other art forms can’t do as well? 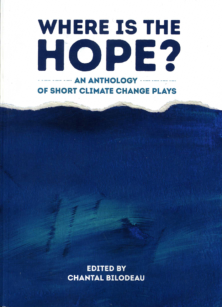 You presented Rap Guide to Climate Chaos at COP21. How was that experience? What was the reception? It was amazing to be there in the midst of the negotiations and see the wheels turning and the process of international climate diplomacy at work, although of course much of the time observing negotiations is like watching paint dry. The result was exciting and the sense of being part of history was exciting, but the nitty gritty was a mix of fascinating and tedious. That’s probably part of why the response to my performances was so enthusiastic, because I was kind of a “pop up rapper” at the conference, there to inject some levity into an otherwise heavy atmosphere. Rather than a single scheduled show, I was invited to perform at multiple events, usually for audiences who didn’t expect me to be there, which definitely raised some eyebrows and snapped a few people out of their torpor. Here’s a blog written by some German students who randomly caught one of my shows, which gives a good sense of how most people responded. What is the single most important thing artists can do to address the problem of climate change? The problem has historically been stalled by a lack of political will, so artists, especially famous artists, can play a major role in signalling to their fans and supporters that this is a major issue and it needs to be confronted. Not everyone will apply their creativity directly to climate issues as I have done, but wherever possible it’s important to bring the issue to the forefront and be provocative about it, forcing people to face the facts honestly instead of resting on false consolations and complicity. The people I meet at my shows who share my desire to raise the alarm, and the sense that the tide is turning and denial of climate change is an increasingly fringe position. 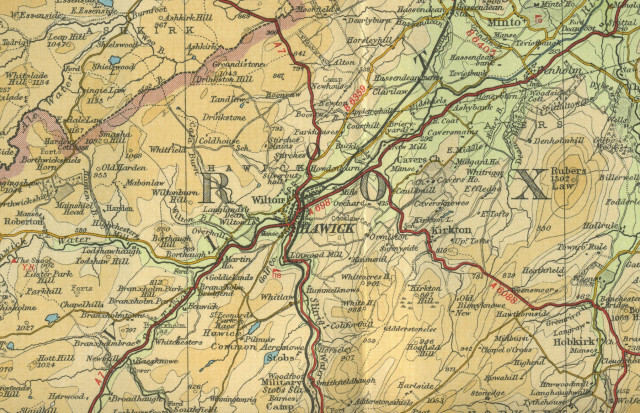 A unique opportunity has arisen for a Project Artist to work closely with the engineering and project team around the Hawick Flood Protection Scheme (HFPS) and engage communities in the development and design of proposals which can be taken forward within the scheme. The key priority of the HFPS works is to protect the town from the effects of a ‘1 in 75’ year flood event on the River Teviot, but the works also offer opportunities to incorporate imaginative place-making proposals, including for permanent public artworks, which can be taken forward into the second phase of the HFPS. This opportunity has been enabled through a partnership between Scottish Borders Council, CH2M (scheme engineers) and the Creative Arts Business Network (CABN), and has already involved initial engagement with community groups around potential proposals. The post Opportunity: Project Artist Hawick Flood Protection Scheme appeared first on Creative Carbon Scotland. 1. 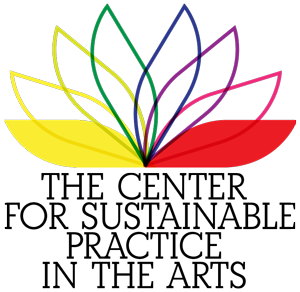 Competition Coordination – Develop, plan, coordinate and implement activities including, but not limited to, Recyclemania, other competitions and programs related to sustainability at SAIC. Both the manner in which these activities are organized and the nature of their content should be geared towards achieving buy-in and habit transformation from student, faculty and staff community members. 2. Project Management and Policy Development – Encourage and facilitate sustainability programs initiated by student, faculty and staff community members. 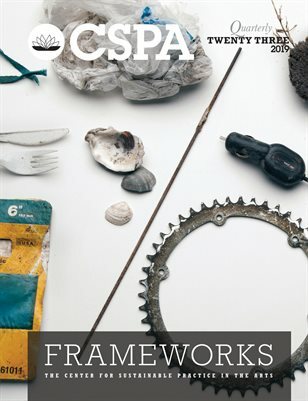 Foster and coordinate new ideas and concepts for sustainability programming themes and identify materials and resources to supplement, expand or replace existing sustainability programming. 3. 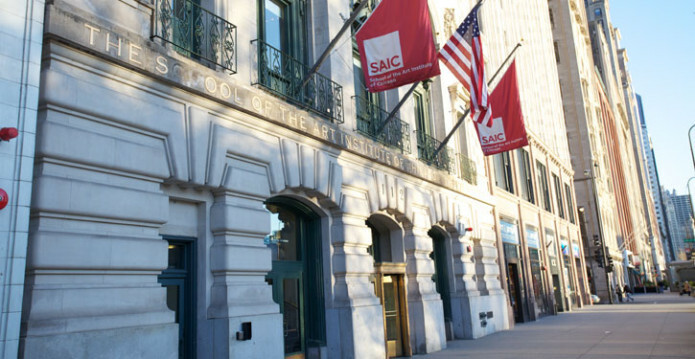 Committee Development – Assist Sustainable SAIC (Committee) in defining goals, performance metrics and a long range plan for sustainability at SAIC. Monitor and evaluate program effectiveness, document performance trends, and recommend and implement modifications to improve program effectiveness. 4. Department Liaison – Represent SAIC’s sustainability programs to the University; maintain liaison with groups, programs, offices and departments at SAIC to achieve sustainability objectives; serve on Sustainable SAIC committee. 5. Reporting and Planning – Work with community stakeholders to submit SAIC’s annual Greenhouse Gas Emissions Report, as part of the schools Carbon Commitment, as well as compiling information for Chicago’s Energy Benchmarking Ordinance. Collect and track energy data for such reports. Lead the SAIC community in developing a Climate Action Plan as well as AASHE STARS. Coordinate efforts to establish and report on a Resilience Commitment. Create process for updating plans and reports on annual basis. 6. Department Programs – Work with Facilities Services to maximize potential of waste diversion programs – recycling and composting. Expand services where necessary. Initiate campaign to rework signage for programs. 7. Accounting and Budget Tracking – Assist in the preparation of budgets and grants; monitor, verify and reconcile expenditure of budgeted funds as appropriate. Bachelor degree in art or sustainability related field preferred. Experience in program administration and knowledge of the SAIC community necessary to plan, coordinate and implement a variety of program activities and events across schools and departments. Excellent analytical, communication and organization skills; an ability to self-motivate, multi-task and to work in a fast-paced environment; to work under deadlines; and the ability to work closely with students, faculty and administrators from various schools and central administration. The position is full time M-F. Located in SAIC. The Art Institute of Chicago requires all applicants to complete an online application to be considered for employment. 60 minutes are allotted for applicants to complete the employment application. The application will automatically time out after 60 minutes. If you are unable to submit the completed application at this time, please choose the “Save for Later” option to avoid losing the information you have entered so far. The Art Institute of Chicago is an equal opportunity, equal access employer fully committed to achieving a diverse and inclusive workplace. Support Blued Trees New Legal Initiatives! We are pleased to announce that on Earth Day, April 22, 2016, a series of new 1/3 mile measures of the Blued Trees Symphony will be created in Virginia and New Hampshire. 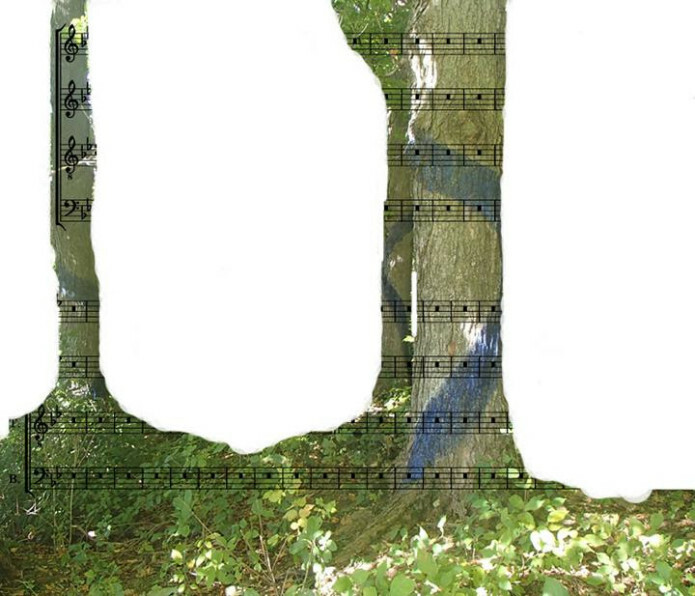 We invite you to participate in the Blued Trees Symphony. Download the Blued Trees manual. We are also thrilled to report that the Blued Trees Symphony has received a generous grant from the Ethelwyn Doolittle Justice and Outreach Fund from the Community Church of New York Unitarian Universalist. The $2,500 grant will be used to help support the legal work to protect the Blued Trees Symphony under threat of demolition, where people’s private land is being seized under eminent domain by fossil fuel corporations. Please make a contribution here that would go towards matching this grant, covering our legal costs. The Blued Trees Symphony could help protect the planet from dangerous methane emissions by setting legal precedents with a network of connected art! Proliferating natural gas infrastructures across the United States (and globally) significantly contributes to climate change. relationship between people, art and habitat. You can make a donationto support lead artist Aviva Rahmani and help cover the Blued Trees Symphony administration costs here: Support the Blued Trees Symphony! The overture copyright was registered, but Spectra Energy destroyed it anyway. Now we want to hold them accountable with a new legal strategy. Your support for that legal framework would protect the Blued Trees Symphony from further destruction and hold Spectra Energy responsible for the damage they have already done. Please give as generously as you can to win this fight. We believe that with your help, our creative approach, a celebration of beauty, trees and natural lands, we can prevail against toxic fossil fuel expansion and establish a new paradigm for our times.